Escondido finding innovative ways to lure development. 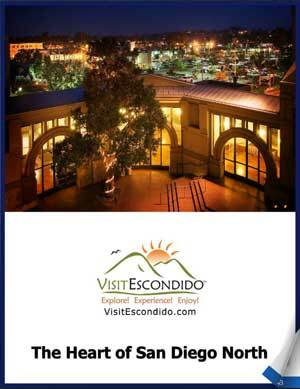 The city of Escondido has some fans, and they’re both in and out of California. The doubling of its population over a generation between 1980 (64,355) and 2010 (143,911) is indicative of the lure of a prime location just 18 miles from the Pacific Ocean and 30 miles from downtown San Diego. And commendations from publications like Money (Best Places in the West to Retire) and Ladies Home Journal (Top Ten Cities for Government) are evidence that its reputation has stretched far beyond a nearly 37-square-mile footprint in San Diego County. Of course, with the celebration of progress comes the realities of infrastructure and finding ways to effectively pay for bettering it – which are the primary domains of Ed Domingue, who has the dual role of city engineer and public works director; and Joyce Masterson, who has the similarly two-pronged title of director of economic development and community relations. “We’re not one of the newer cities,” Domingue said. Escondido completed a comprehensive economic development strategy two years ago with an aim toward attracting more industry, and, by extension, broadening the tax base to provide funds for infrastructure-centric upkeep. The city lies at the crossroads of state Route 78 (which runs east/west and connects to the coast) and Interstate 15 (which runs north/south and connects to San Diego), which has helped trigger the location of a cadre of small businesses and middle-sized businesses. A plan is in the needs assessment stage that would relocate Escondido’s public works yard in order to create a business park to accommodate further development interest. Toward that end as well, the city is one of five municipal partners – alongside Oceanside, Carlsbad, Vista and San Marcos – who’ve joined forces to promote the region as a whole, rather than pitting the individual cities against each other. For example, Masterson said, if Escondido doesn’t have a property that a given business might need for expansion, it would point that business to one of the other four as a way to keep the economic benefit in the northern San Diego County region. And if that business does indeed stay local, side benefits can be gleaned by the other cities. Memorandums of understanding have been created that ensure the cities will indeed work collaboratively, and an extensive branding campaign is set for release by the end of the year that will not only make the plans known regionally, but also nationally and internationally. Ironically, an Escondido-based business that’s risen to the No. 2 among tourist attraction in the north county region – the Stone Brewing Company – relocated to the city in 2005 after being founded in San Marcos in 1996. It’s been included 10 times on Inc. magazine’s list of the country’s 5,000 fastest-growing private companies, has been an 11-year fixture on the San Diego Business Journal’s local list of fastest-growing private companies and has averaged 50.4-percent annual growth since its origin. Stone Brewing products are distributed domestically to 40 states and internationally to Japan, Singapore, the Philippines, Thailand, the United Kingdom and Sweden, and the company announced plans in July to create Stone Brewing Co. – Berlin, which would make it the first U.S.-based craft brewer to own and operate a brewery in Europe. That facility, housed at a former gasworks plant, is expected to open in late 2015 or early 2016 after a $25 million renovation project. Closer to home, future priorities for the city include an extension of Citracado Parkway to provide enhanced connectivity to both the sprawling Palomar Medical Center and a better link to the Escondido Research & Technology Center, which is anchored by the brewery and the 550-megawatt Palomar Energy Plant. For the utilities, a rebuild project on the Wolford Dam, expansion of the recycled water system and replacement of potable reservoirs are at the top of the agenda, while a transition to LED street lights and more advanced energy use in buildings are also on the horizon. And, when it comes to economic development, the strategic plan document presented to the city early in 2013 will remain the blueprint the blueprint for years to come.